Finding a comprehensive publishing software solution can be nearly impossible—and often unnecessary. Most publishers employ piecemeal solutions that fit their segment and scale. Imagine a software solution that would manage every facet of publishing—manuscript development, printing, distribution, invoicing. A solution that would provide a breakeven analysis for every book in every format while simultaneously tracking sales, calculating publisher compensation and author royalties, and generating payments. On the wish list for publisher Dayna Anderson of Amberjack Publishing would be software that also incorporates word processing, e-mail, messaging, scheduling, to-do lists, marketing, social media, and customer relations management (CRM). Based on her experience with enterprise systems in other corporate contexts, Zimmer also notes that they’re not as comprehensive as one might think. “Usually, the accounting side is burdensome to use; the time management side underdeveloped,” she says. And, especially for entry-level businesses, the price can be prohibitive. Having managed several large publishing projects through his company Teaching That Makes Sense, author Steve Peha suggests that finding a comprehensive publishing software solution is about as likely as bumping into a unicorn. “The only professional area where there seem to be good end-to-end workflow systems is in tech, particularly software development,”explains. “Essentially, what is needed in the publishing industry is what we have all over the tech industry—really good application program interfaces (APIs) for connecting different software together.” Ideally, this would be a universal, open-sourced interface with a standard data model specification designed and maintained by a nonprofit third party, he says. For lack of a unicorn, publishers make do with piecemeal solutions. For some, these work well enough that they say they wouldn’t switch systems even if a comprehensive solution were to come on the market. To acquire software that fits their segment and scale, publishers begin by weighing options against needs. For Becky Parker Geist, owner of ProAudio Voices, this process involves asking colleagues for their recommendations. 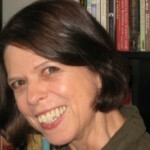 Peg Conrad, vice president of publications at aha! Process, says she supplements word-of-mouth testimonials with research done online and through organizations such as IBPA. Even after a solution set is adopted, publishers look to improve it. “We are constantly reviewing our tools and procedures,” says Maggie Langrick, publisher and CEO at LifeTree Media. For editing, marketing, production, and general workflow at Amberjack, Anderson relies on Basecamp. Although the platform requires toggling from editing to production to marketing and other functions, she notes that implementation has decreased inbox clutter and reduced the number of meetings companywide. Aha! Process also uses Basecamp, customizing the program’s templates to address common tasks. Conrad lauds the fact that the platform allows multiple people to work a single to-do list, and she has found it to be cost-effective. At author services company Night River Press, president Skeeter Buck notes that Basecamp fosters transparency and focuses team efforts around timelines. She also appreciates the fact that she can put her subscription on hold during slow periods. Geist has no complaints about cost—she uses the free version of Asana, setting up each aspect of the business as a project with set processes and tasks as opposed to treating each audiobook as a separate project. To supplement project management solutions, publishers tap software resources that address specific workflow components. To manage submissions, Zimmer uses Submittable, with features for creating unique forms and auto responses within multiple categories. “It also allows our acquisitions staff the ability to vote and leave personal notes for each submission in one place,” she says. Anderson uses Authors.me to handle submissions, crediting the program with helping her Amberjack team locate high-quality manuscripts while reducing inbox clutter. “Authors.me is cost-effective, especially for the analytics feature, as we can make more data-driven decisions,” she notes. To manage royalties, Familius and Amberjack use MetaComet (see IBPA’s MetaComet member benefit here). For publishers with smaller lists, Trackerbox consolidates e-book royalty accounting. Other publishers rely on Microsoft Excel for these tasks. “When it comes to managing metadata and royalties, we didn’t even look at other options,” Zimmer says. Adjusting to new software can be a challenge. But when a program matches a publisher’s segment and scale, the benefits prove well worth the effort. Zimmer urges publishers to make sure they match programs to needs. “Bells and whistles are fun, but do they add value to your production line? Do your research and do the free trials. Put the software through a typical day in your office,” she says. In every aspect of their enterprise, independent publishers excel at adapting available resources to their needs. Software solutions are no exception. Lacking a comprehensive, end-to-end workflow suite, they adeptly integrate task-specific and project management solutions to improve workflow, ensure quality, and enhance the bottom line. For more formal gatherings, Stanfill suggests that organizers maintain lists of potential participants and venues. In addition, they can advance their cause by making a point of welcoming newcomers. “Potential members should feel like they can show up even if they’re nervous about not knowing anyone,” she explains. A list of the software solutions mentioned in this article. Co-founder of 49 Writers and founder of the author co-op Running Fox Books, Deb Vanasse is the author of 17 books. Among her most recent are Write Your Best Book, a practical guide to writing books that rise above the rest, and What Every Author Should Know, a comprehensive guide to book publishing and promotion, as well as Wealth Woman: Kate Carmack and the Klondike Race for Gold.